This elegant stand illustrates Contempo Wall's enduring commitment to merging the best in functional and aesthetic furniture design. Complete with two utility drawers, two cabinet spaces and a center compartment for audio/video storage, this media-storage solution contains room for all your home entertainment needs and then some. With an eye for sleek edges and custom dedication, we've crafted a stand that looks as modern and futuristic as the ground-breaking gadgets it will house. The world is moving forward. 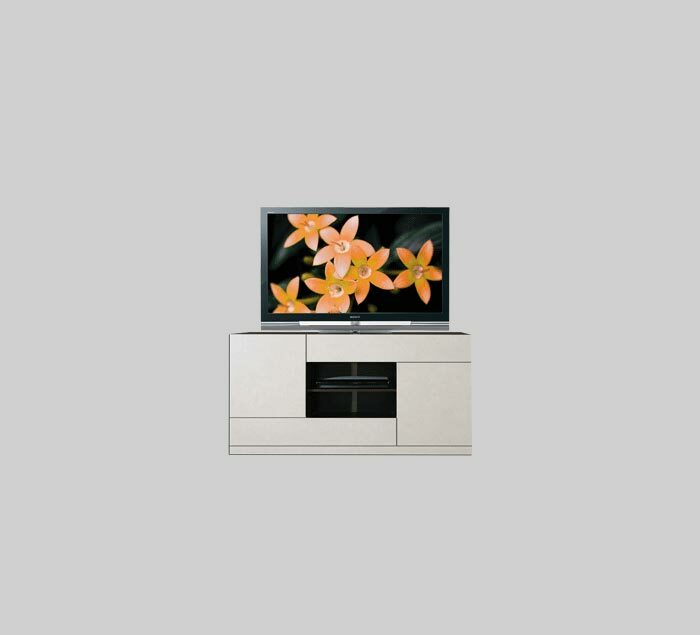 Make sure your home theater display moves with it. Home delivery is available upon request. Our trained experts will place the furniture according to the customer's specific preference. Packaging materials will then be removed and returned to our factory for recycling. All you have to do is choose your favorite accessories.